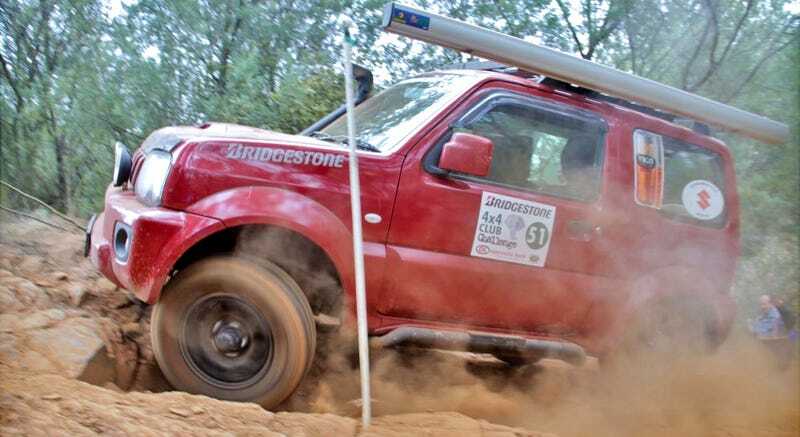 60 off-road racing teams went head-to-head last week in South Africa’s Bridgestone 4x4 Club Challenge. This Jimny lugging an awning meant for an “medium-sized” truck looks like a puppy trying to run with a giant log between its teeth. Adorable! Image: Bridgestone.